The first visit to a dentist is an experience that children and parents should enjoy. By having some expectations before the visit, it is easier to feel comfortable and maintain your composure when a dentist is working with your child. Enjoy your child's first visit to a dentist and set a strong foundation for a lifetime of healthy oral hygiene. Plan a visit to the dentist within 6 months of a baby's first tooth. Alternatively, visit a dentist by the time a baby is one year old. 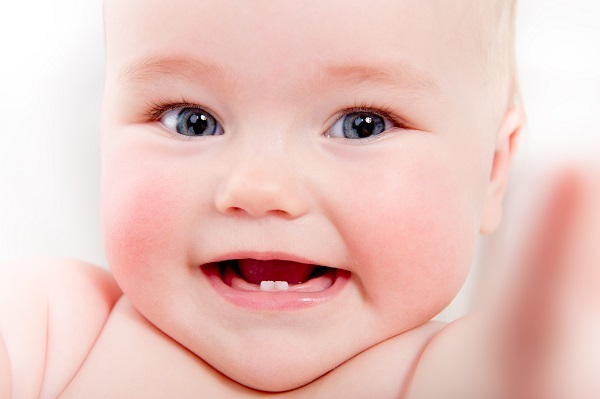 The dentist will check a baby's gums and teeth and make suggestions based on the specific needs of the child. The first visit can be essential for a healthy dentist-child relationship. Bring your baby to the dentist in a calm manner so that he or she will not feel anxious about the experience. During the first visit, a dentist performs a very simple examination. In most cases, a parent is asked to hold the toddler in the chair or on their lap so that a dentist can examine a baby's gums, bite and any new teeth. If there is tooth decay, then a dentist will make recommendations for prevention and/or treatment that are appropriate. In most cases, a baby's first visit will not result in any further treatment requirements, especially if the visit occurs shortly after the first tooth grows in. Since children will usually have teeth by their first dental visit, a dentist will brush and clean any existing teeth. In spite of everybody's efforts to help the child to be happy, sometimes children cry. You can expect the cleaning to be thorough, but short. During the cleaning, a dentist may determine that fluoride treatments are necessary. The treatments are appropriate when there is tooth decay or if there is a risk of tooth decay, but it is usually not necessary for most toddlers. When the exam and cleaning are completed, a dentist will discuss a child's oral hygiene with the parents. Listen to the recommendations and ask any questions that may arise. Ask about any concerns that arise throughout the discussion. For example, if a child is sucking on his or her thumb, then ask about the potential consequences of his or her behavior. Expect a lot of smiles, encouragement, patience, and prizes during the first visit. Although this is your first visit with your child to the dentist, the staff and dentist have a lot of experience with this and will try to make it as easy and fun as possible. The first visit to a dentist is potentially scary for a young child. Be prepared for the possibility of anxiety or fear associated with the dentist. During the first visit, a dentist wants to establish a positive image and relationship with a toddler or child. He or she may talk to the child before starting the exam to help reduce any tension or anxiety. If you notice that a child is getting worried, then use distractions to help reduce the potential problems. For example, use a phone app to catch a child's attention and allow him or her to play a game on the phone. Alternatively, allow a child to play with keys or a toy while a dentist is setting up. Parents should also try to stay relaxed during the visit. If a parent is anxious or worried, then a child will not feel comfortable. A dentist can make recommendations if a child is scared or anxious based on the specific situation. The first dental appointment is a time to introduce a child to the dentist and regular dental procedures. Start teaching oral hygiene early and follow the advice of a dentist to ensure that children will have a positive experience and will maintain healthy teeth throughout their entire life.